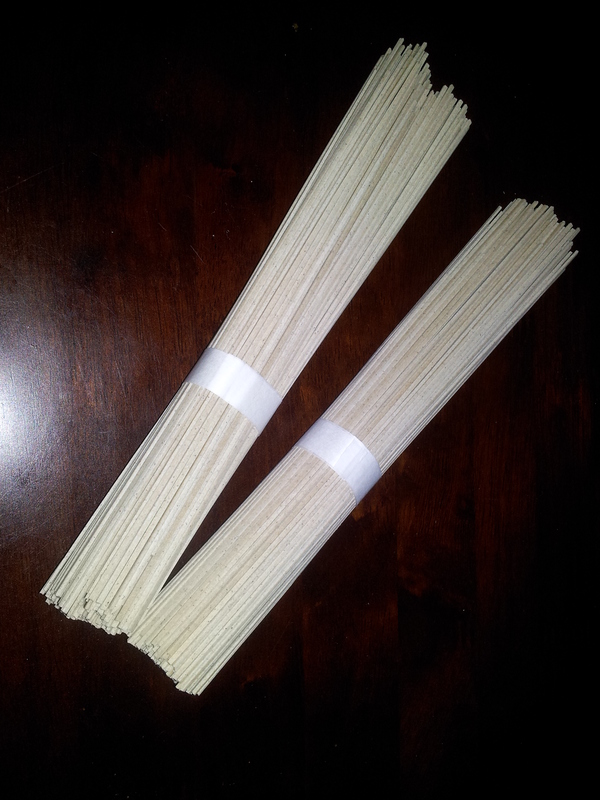 So, first, Soba Noodles. I get mine at the my local Asian Grocery store called T & T. They have a wide variety which is great. You can read about Soba Noodles but the short version is that it’s another word for buckwheat and therefore the noodles are gluten free and they are also one of 11 types of Asian noodles that are safe for the gluten free diet. Now the only bonus to this process was that my meat had now been sitting in it’s marinade for the past 24 hours. DELISHHHHH….So if you can marinate overnight that would be great, but not necessary. Mix 3 tbsp of the Teriaki Sauce with some minced garlic, and 1 tbsp of corn flour. Mix with the beef and cover well. Let marinate for 30 minutes, but as I stated before, overnight is best. Bring a pot of water to a boil. Blanche the broccoli for a minute or two. Remove and run under cold water to stop the cooking. Then bring water once again to a boil to cook the soba noodles. Once water is boiling add the soba noodles. These should only take 3 to 5 minutes, but follow the package directions. Rinse under cold water. Serve and top with green onion. That’s it. I always like my crunch, so I did add some toasted almonds. 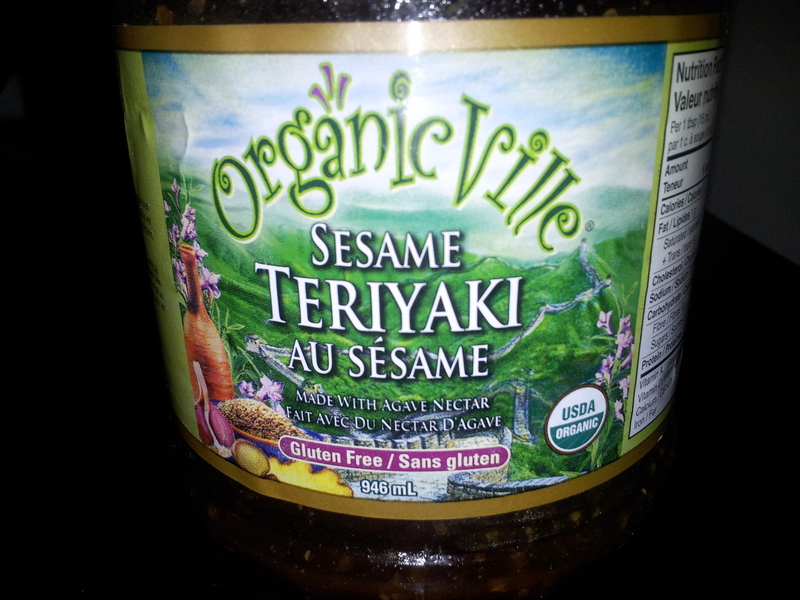 So now with the second recipe you can use this same Teriyaki sauce or you can use the GF Tamai. Whatever you like. This next salad would be served cold, or room temperature actually. Take your leftover cold soba noodles and place them in your salad bowl. 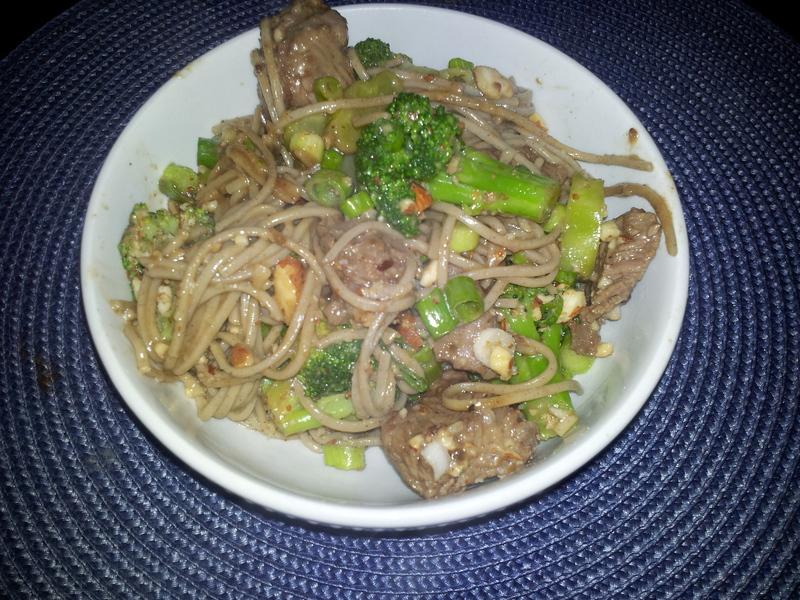 Add some sesame oil to your taste and to loosen up your noodles. Add your sliced green peppers. Meanwhile, boil your chicken. You can always pan fry it as well. If you boil them, you can add some ginger in the water. Dice up your chicken if you pan fry it. If you boil, boil it whole, let it rest, and then shred. Let it cool, but it doesn’t have to be cold. Warmish is good enough. While the chicken is cooling, in a small bowl, mix together the tamari, garlic, and vinegar. You can add another tbsp of sesame oil if you want. Put the salad together. 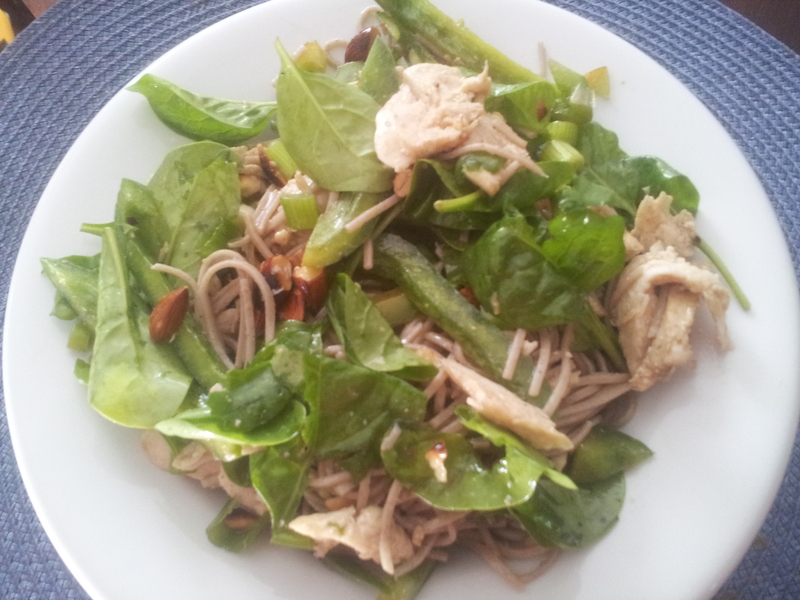 Add your chicken, put in your spinach and then add your tamari sauce and toss. Add your toasted almonds, and green onions. I am a Wedding Coordinator/ Event Planner and Life Saver. I aim to fullfil a couples dreams for their wedding. I want to help companies with their staff appreciation events, employee recognition, non-profit organizations with fundraising events. There are truly no limits to what type of event we can help with. I am well on my way with having a great database of amazing local vendors and companies to help narrow the field down for everyone's specific needs. Call us for a Consultation. This entry was posted in Blog, Recipes. Bookmark the permalink. I be getting me on of those Fancy Capes! !